Donât miss the rare opportunity to own this bright & spacious 3bd/2ba 1440 sqft home in Mt. Shastaâs most desirable park! Huge, open-concept living room with vaulted ceilings provides plenty of room for entertaining and the large covered porch is just perfect for relaxing with family & friends. Master suite is separate from the other bedrooms for maximum privacy. Formal dining room could be a den, office, guest room, etc. Both bathrooms have dual sinks, a soaking tub, and separate shower. Newer dual pane windows and weather stripping from recent energy efficient upgrade by Great Northern. Large 2-car carport and storage shed/workshop. Current space rent is $516 and includes sewer and garbage and the use of the pool and clubhouse. All this home needs is your imagination and personal touches to really make it your own! Donât let this one slip away. Schedule your showing today! Please, send me more information on this property: MLS# 113081 – $46,500 – 1934 S Old Stage Rd, Spc 28, Mt Shasta, CA 96067. 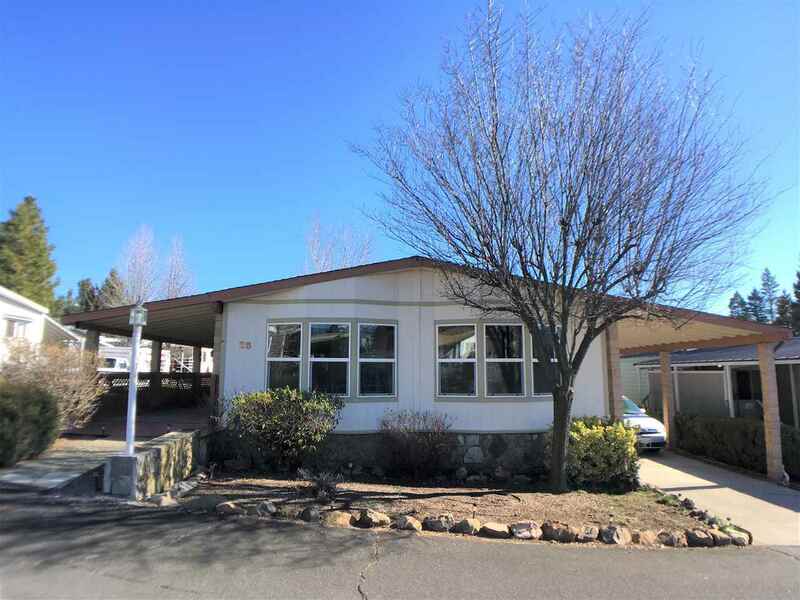 I would like to schedule a private showing for this property: MLS# 113081 – $46,500 – 1934 S Old Stage Rd, Spc 28, Mt Shasta, CA 96067.